At Valley Audiology, we aspire to keep you active, healthy and connected to life. Our highly personalized care will help you hear to the best of your ability. 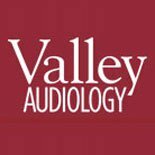 Call Valley Audiology at (925) 676-8101 for more information or to schedule an appointment. Copyright © 2019 Valley Audiology. All Rights Reserved.